Probate Filing Fees for 2018 In NSW follows a process and applying for Probate includes an application to the Supreme Court of New South Wales for the official Grant of Probate. The application for Probate to the Court includes many things such as an Affidavit of the Executor setting out the assets and liabilities of the deceased as well as other formal documents including the Death Certificate of the deceased and the deceased’s Will. One part of the application to the Court for a Grant of Probate that may be overlooked is the fee, commonly referred to as the filing fee, that needs to be paid to the Court when making the Probate application. Generally, these fees can be reimbursed from the Estate of the deceased or they will be paid by the lawyers acting for the deceased Estate and reimbursed once a Grant of Probate has issued. For an Estate valued at less than $100,000 no filing fee is payable. For an Estate valued between $100,000 and $250,000 the filing fee is $733. For an Estate valued between $250,000 and $500,000 the filing fee is $995. For an Estate valued between $500,000 and $1 million the filing fee is $1,525. For an Estate valued between $1 million and $2 million the filing fee is $2,032. For an Estate valued between $2 million and $5 million the filing fee is 3,387. For an Estate valued over $5 million the filing fee is $5,646. Lodging a Caveat against a Grant of Probate costs between $43 and $86 dependent on whether the person lodging is an individual or a corporation. A Summons to Revoke a Grant of Probate costs between $1,101 and $3,014 dependent on whether the person lodging is an individual or a corporation. Filing the Accounts of the deceased Estate costs between $403 and $923 dependent on whether the person lodging is an individual or a corporation. A certified copy of a Will or a Grant of Probate costs $140. Depositing a Will with the Court for safe keeping costs $128. Contesting a Probate Application costs between $1,101 and $3,014 dependent on whether the person lodging is an individual or a corporation. It is important to remember that the filing fees and other charges by the Court generally increase every July so that the current charges may increase in July, 2018. 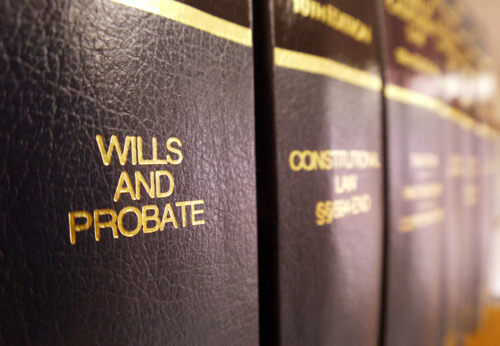 Before making an application for Probate you should seek expert legal advice from a Sydney Probate Lawyer who will handle the legal and procedural matters of obtaining Probate professionally, quickly and expertly. Call today and speak to Graeme Heckenberg who only deals in Probate and Estate Litigation! Offices conveniently located in Macquarie Street, Sydney, CBD close to public transport!